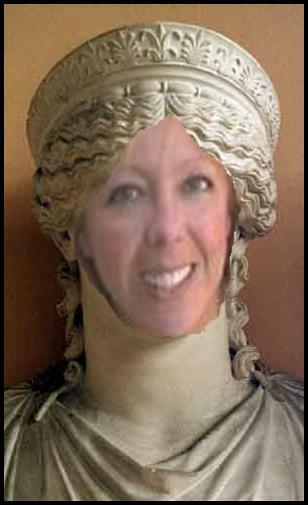 I’m not very familiar with today’s modern sculpture to say how much of an influence the Romans and Greeks have, but I think I can say that the “Greek ideal” is very much alive and operating in today’s media venues like movies and magazines. Magazine ads of women can be composites of several models photo-shopped together (think: Frankenstein’s monster!) to make what the advertiser thinks the “perfect” woman for the product should look like. Of course, that person doesn’t exist in one body….. My husband picked up a men’s health magazine once and I remember how we thought it was funny that so many of the ads claim that the average Joe Reader can have a body just like in the picture in just a few easy steps – yeah, like: open PhotoShop, click, cut, paste, save!